Transitional Housing (TH) programs were developed for domestic violence (DV) survivors in order to provide the time, financial assistance, and supports needed for survivors to achieve long-term safety and housing stability. 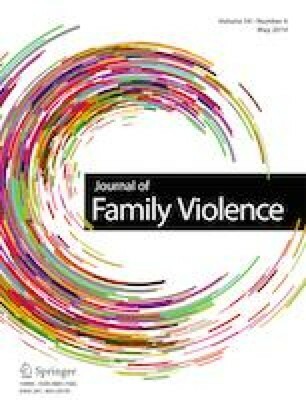 Previous research indicates TH may be effective for homeless families, but there is a paucity of evidence related to DV survivors’ need for or use of TH. TH is an expensive housing intervention that is space limited and requires survivors to relocate at program end. It is therefore imperative to understand who is best suited for, interested in, and helped by DVTH. Thirty current survivors in a DVTH program were interviewed in order to elucidate the benefits and drawbacks of DVTH. The interviews were semi-structured, and both quantitative and qualitative data were collected. Survivors in severe danger from their abusive partners and ex-partners, those with greater psychosocial needs, and immigrant survivors identified aspects unique to DVTH (e.g., high-level security, intensive services) as being critical to their safety and well-being. A small number of survivors would have chosen a less intensive and structured housing option, such as Rapid Re-housing (RR), that would have allowed them to remain in their housing after assistance ended, had such an option been available. DVTH appears to be an important option for some DV survivors, but more housing options are needed across communities to meet survivors’ myriad needs. This study received support under Grant #90EV0451 to the National Resource Center on Domestic Violence (NRCDV) from the Administration for Children and Families, U.S. Department of Health and Human Services (ACF/DHHS). Its contents are solely the responsibility of the authors and do not necessarily represent the official views of ACF/DHHS. Fisher, E. M., & Stylianou, A. M. (2016). To stay or to leave: Factors influencing victims’ decisions to stay or leave a domestic violence emergency shelter. Journal of Interpersonal Violence. https://doi.org/10.1177/0886260516645816. Gubits, D., Shinn, M. Bell, S., Wood, M., Dastrup, S., Solari, C.D., Brown, S., Brown, S, Dunton, L., Lin, W., McInnis, D., Rodriguez, J., Savidge, G., Spellman, B.E. (2015). Family options study: Short-term impacts of housing and services interventions for homeless families. Washington, DC: U.S. Department of Housing and Urban Development. Retrieved from http://www.huduser.org/portal//portal/sites/default/files/pdf/FamilyOptionsStudy_final.pdf. Jasinski, J. L., Wesely, J., Mustaine, E., & Wright, J. D. (2005). The experience of violence in the lives of homeless women: A research report. Washington, DC: National Institute of Justice. Retrieved from https://www.ncjrs.gov/pdffiles1/nij/grants/211976.pdf. Joint Center for Housing Studies, Harvard University. (2013). The state of the nation’s housing 2013. Cambridge, MA: Joint Center for Housing Studies, Harvard University. Retrieved from www.jchs.harvard.edu/research/publications/state-nations-housing-2013. National Alliance to End Homelessness. (2015). The state of homelessness in America 2015. Washington, DC: National Alliance to End Homelessness. Retrieved from https://endhomelessness.org/resource/archived-state-of-homelessness/. National Coalition for the Homeless. (1988). Necessary relief: The Stewart B. McKinney homeless assistance act. Washington, DC: National Coalition for the Homeless. Retrieved from https://archive.org/details/ERIC_ED298235. National Network to End Domestic Violence. (2016). Domestic violence counts 2015: A 24-hour census of domestic violence shelters and services. Washington, DC: National Network to End Domestic Violence. Retrieved from https://nnedv.org/content/dv-counts-2015-census/. Owen, G., Heineman, J., & Decker Gerrard, M. (2007). Overview of homelessness in Minnesota 2006: Key facts from the statewide survey. St. Paul, MN: Wilder Research Center. Retrieved from http://www.wilder.org/download.0.html?report=1963. QSR International. (2014). NVIVO 10 for Mac. Available from http://www.qsrinternational.com/products_nvivo.aspx. U.S. Interagency Council on Homelessness. (2015). Rapid re-housing. Retrieved May 30, 2018 from https://www.usich.gov/solutions/housing/rapid-re-housing. Wood, L., Cook Heffron, L., Voyles, M., & Kulkarni, S. (2017). Playing by the rules: Agency policy and procedure in service experience of IPV survivors. Journal of Interpersonal Violence. https://doi.org/10.1177/0886260517716945.